This compilation includes a revised version of Orient Expresss, revised excerpts from Rosinante to the Road Again and In All Countries, and five essays on Spain previously published in Esquire magazine. Together, the collection makes the case for Dos Passos as one of the few international authors among the Lost Generation—an artist with sensibilities for the vast continents of culture and experience beyond the salons of Paris. His journeys between World War I and II take him from France and Spain to Mexico to the Soviet Union to Persia and Georgia. 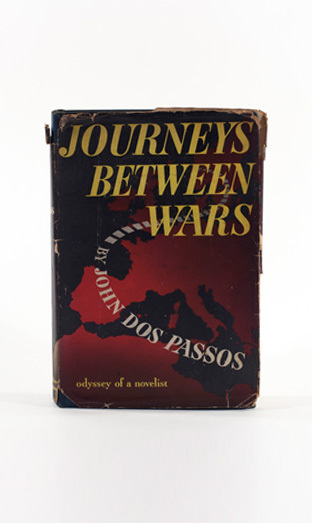 The New York Times Book Review praises Dos Passos for blending the “dramatic impetus of a novelist, the perception of a remarkable correspondent and the vigorous, independent curiosity of the great travelers of the past” in Journeys Between Wars.